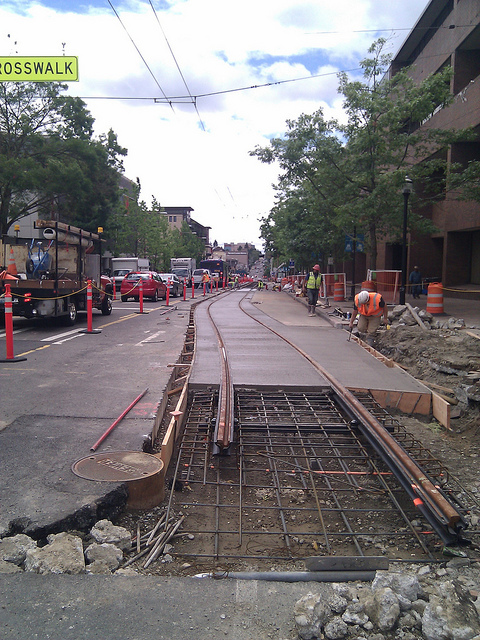 The First-Hill project is the second line of Seattle’s planned modern streetcar network. 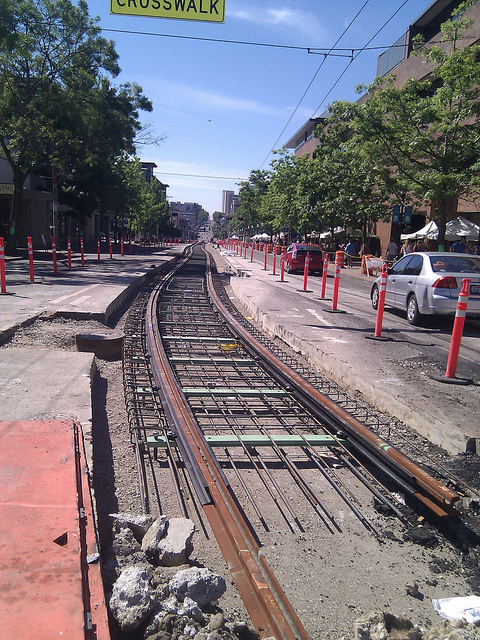 It entered the construction phase in April 2012, with operations scheduled to begin in early 2014. 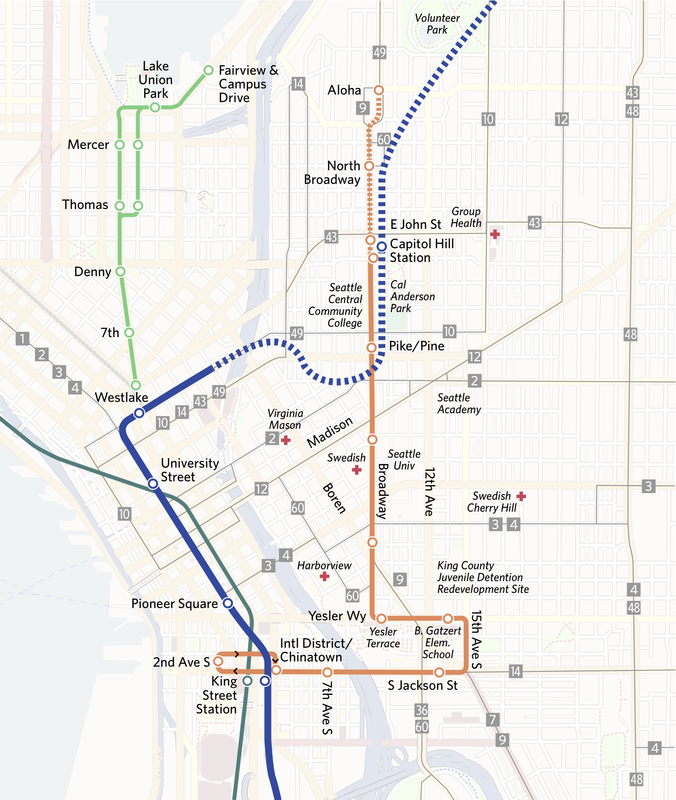 The 2.4 mile long line will connect the First Hill employment/ activity center (one of the city’s largest employment centers, including the Seattle University campus and the Seattle Medical Center) to the regional transit system as well as intercity passenger rail; provide local transit service; accommodate economic development; and contribute to neighborhood vitality. 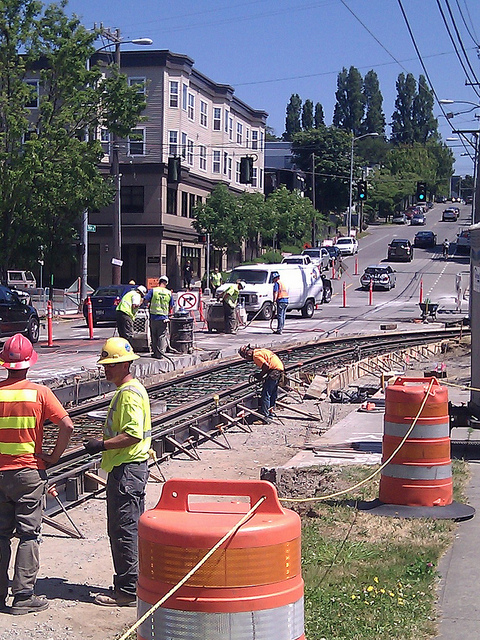 Like the existing South Lake Union streetcar line, First Hill will be operated by King County Metro as part of the city’s transit system. Because the two lines do not connect, a separate maintenance facility / operations base is being constructed. 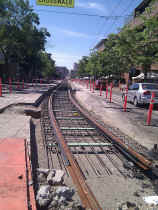 At 5th and Jackson, the new line will also pass the now mothballed Waterfront Streetcar alignment, although there are presently no plans to connect to it. 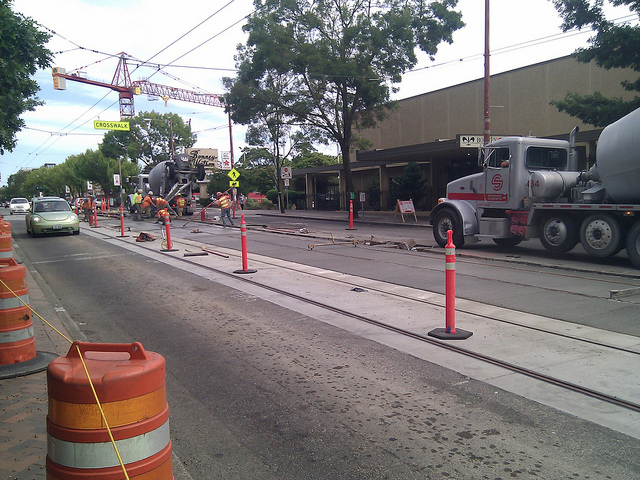 The double-track alignment is located entirely on city streets and utilizes a combination of center and side (blub-out) platforms for the 10 stops. 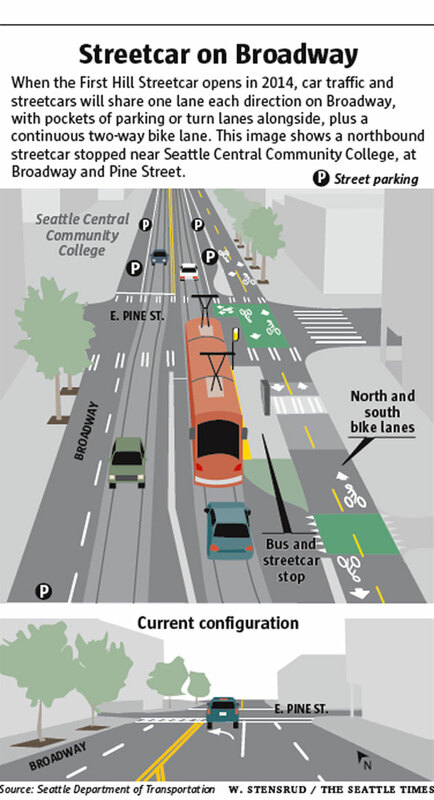 For the Broadway leg of the alignment, the existing street is being extensively reconfigured, incorporating a two-lane bike path (dubbed the “Broadway Bikeway”) along the east side, with the shared streetcar/ traffic lanes shifted towards the west curb. The project website has graphics illustrating the entire alignment, as well as video fly-overs (one of which is included below). The line has several other unique aspects- it will negotiate long stretches of moderate grades, as well as short stretches of steep grades (up to 9%). Much of the alignment will also be shared with Metro’s trolley bus system. Most unique is the fact that the line will take advantage of its prevailing grade, and the inbound track (which moves in the downhill direction) will not have overhead wire. The line’s five vehicles (being supplied by Inekon, with final assembly in Seattle) will each be equipped with an onboard energy storage system that allows “off-wire” operation. This mode of operation facilitated keeping the trolley bus and streetcar overhead wire systems separate, and also simplified some of the project’s interaction with other on-street and underground utilities. 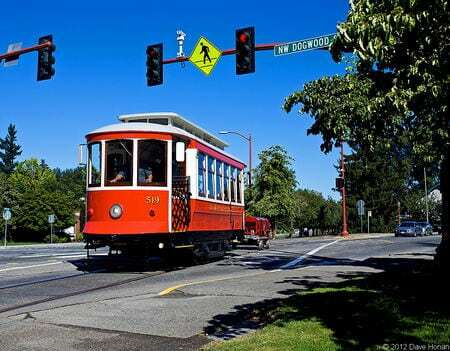 On an interesting historical note, sharing of overhead wire systems between trolley bus and streetcar was once common practice, albeit with trolley poles on the streetcar vehicles instead of pantographs. 8/29/12- Gordon Werner has a Flickr photostream with detailed photos of construction in progress.